Sky was a group formed by John Williams, a British classical guitarist, whose approach involved combining the classical music form with the energy of rock. After a string of successful albums, they embarked on The Mozart Album, a collaboration with Sir Neville Marriner and the Academy of St. Martin-in-the-Fields, to interpret a variety of Mozart compositions. This release had a short-lived existence on CD in Japan, entitled Sky Meets Sir Neville Marriner, and is now, for all practical purposes, available only on vinyl. In general, it is fashionable for purists (and those who aspire to purism) to criticize such efforts. However, taken on its own merits, as a display of instrumental prowess and composition, this effort is quite decent, more so for those who enjoy such adaptations, also a staple of bands such as Ekseption, Los Canarios, etc. 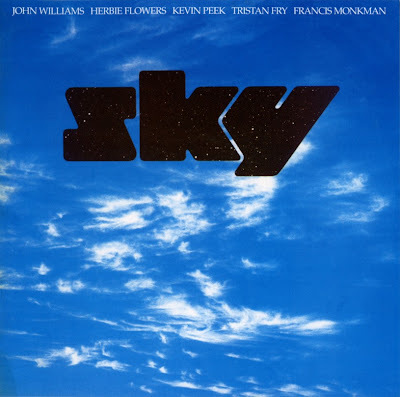 The Best of Sky compilation offers a good introduction to the style of the band, and contains some of their best tracks, including "Carillon," "Vivaldi" (also covered by Curved Air), and "Dies Irae." The group is powered by the keyboard prowess of Francis Monkman and the guitar-work of John Williams, to realise a range of moods, from the energetic to the pastoral.